I have an Ergo carrier in galaxy grey! It is beautiful and in excellent used condition. I didn't get the opportunity to use it much since LO doesn't like being worn, but I love this carrier! I'm definitely sad to see it go! It has no staining, and no wear and tear. It basically looks like it just came out of the box! $90PPD- SOLD! I just looked at the picture that came up and you can't really see what the patterns are. The one that is connected to the carrier is a grey background with colorful sugar skulls on it (super cute), then the one on the left is a black background with grey swirls, and the one on the right is a large houndstooth. 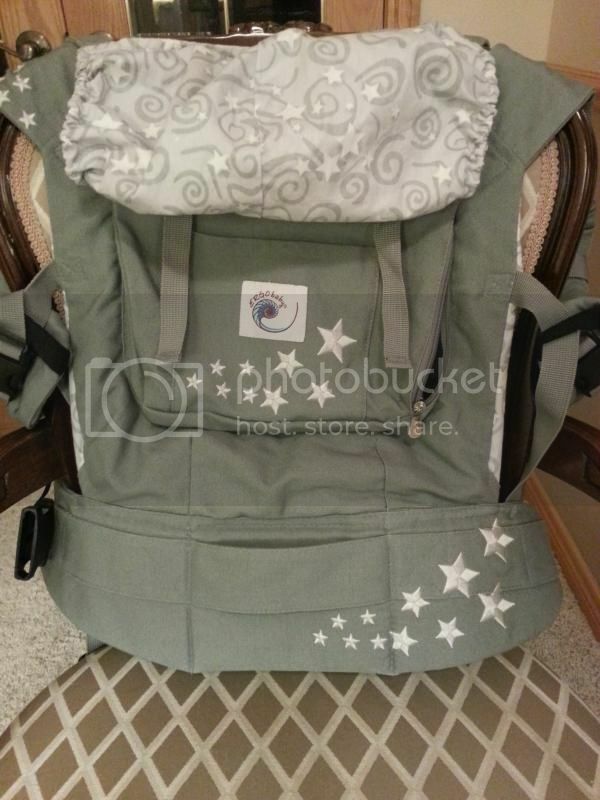 Re: Mei Tai Baby baby carrier. I know I love it too...but baby hates it haha! She is definitely not a carrier baby. Bummer so glad my l.o. loves it...I shall check back in a few weeks!